Jumble Sale @ Heeley Farm – Saturday 18th May | IT'S HAPPENING IN HEELEY! 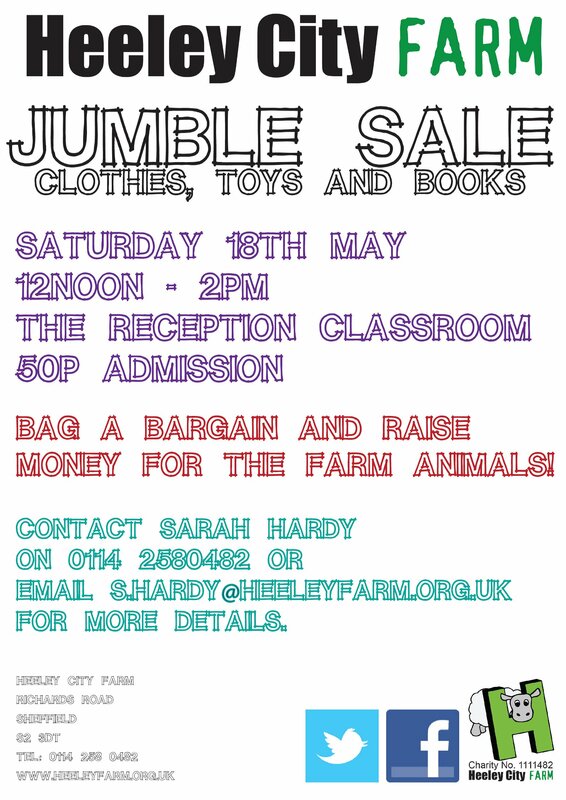 Heeley City Farm’s next Jumble Sale fundraiser is on Saturday 18th May in the Reception Classroom. Any donations of clothes are very welcome and essential to making the event successful. Women’s, men’s and kids clothes on sale as well as books, toys and bric a brac. 50p entrance fee to help fundraising efforts to support the Farms community projects. Please ring 0114 2580482 for more details or to arrange to drop off donations.